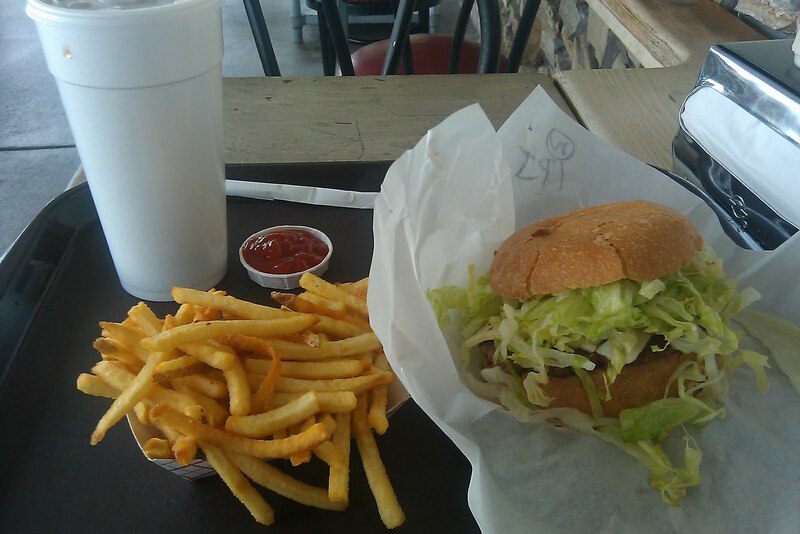 Until recently, I have not been a fan of Ford’s Real Hamburgers and that was too bad since it is so close to my home. In my first visit in about five years, I was pleasantly surprised to enjoy a good, if not great, hamburger and remarkably good fries in an environment that was cleaner than I remember. This new, improved Ford’s is worth a return visit, perhaps to check out other items on there plentiful menu. I discovered Ford’s when my family moved into the Land Park area in the mid-1990s. From the first time I tried one of their “real hamburgers” I was disappointed: the burger was dry and the fries were limp and greasy. Ford’s is an old fashioned independent hamburger stand which frees them from the constraints of a hamburger chain. I was hoping the burgers would taste like they were handmade and original, with a unique taste that you only get with independents. Instead, the food tasted as if they were not trying. I returned to Ford’s, ordering the same thing a couple more times hoping I just caught them on an off day, but the fare was the same. Over the next ten years my family would check out Ford’s from time to time, hoping for a change especially when there appeared to be a change in owners. I once saw a man I only know as “T.J.” working the grill. This was promising since T.J. worked at J’s Café during days, which makes tasty burgers. Alas, it was pretty much the same as usual. T.J. later told me he hated working at Ford’s and quit both jobs soon after we spoke. There is no question the new Ford’s is better than the ones I visited under previous owners. Off the bat, it is cleaner, the menu board is orderly—the menu is now printed rather than written in whiteboard marker. As for the food, it is better; however, it had nowhere else to go but up. The burger was not bursting with flavor, but what do you expect from what must have started as a frozen patty. The burger came fully loaded though I do not see any reason to stuff it with chopped lettuce. Too much lettuce tends to take away the burger’s taste. Even the sound of crunching through a mouthful of lettuce makes eating this hamburger feel more like eating a salad. The fries were perfect, much better than what they offered in the past. During my stay two of the three customers ordering food commented on how much they love Ford’s. While I enjoyed my burger, it made me think I was missing out on something—was there another burger or sandwich that makes these customers want to complement the order taker. I would like to think Ford’s instructed these customers to complement the chef because the owner knew The Burger Scoot was in the house, but I know that is not the case. One last note, under this new ownership Ford’s is taking phone orders again. Five years ago the then-new owners stopped this service and Ford’s lost my family as customers. As inept as they were at making burgers and fries we could always find other items that were agreeable, but the discontinuing phone order feature was the last straw. Now with the phone service back I would bet other customers will return to Ford’s. If I return I’ll definitely tell them to take it easy on the lettuce. Are the Tires on Your Scooter Properly Inflated? There are many different products out on the market to assist the scooter rider in ensuring their tires are properly inflated, but TireCheck Tire Pressure Valve Stem Caps are the easiest way to make sure your tires are always properly inflated. 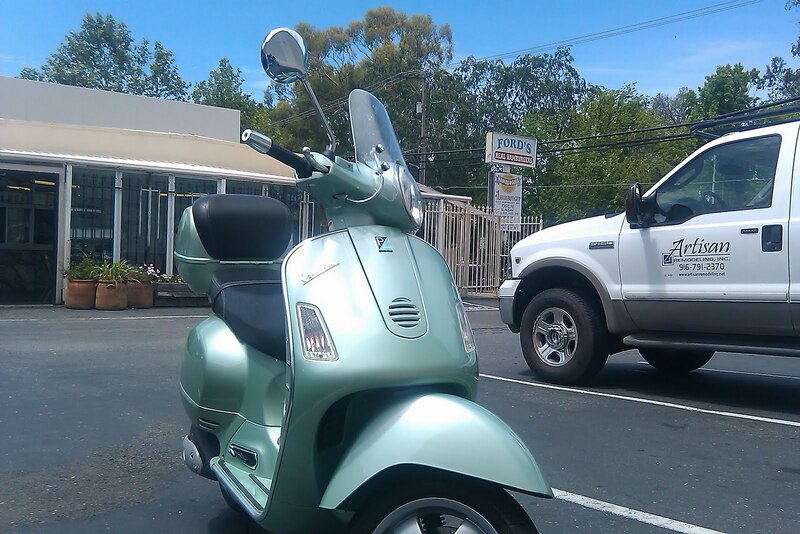 I purchased a pair from The Scoot Shop at 1619 E Street in Sacramento. 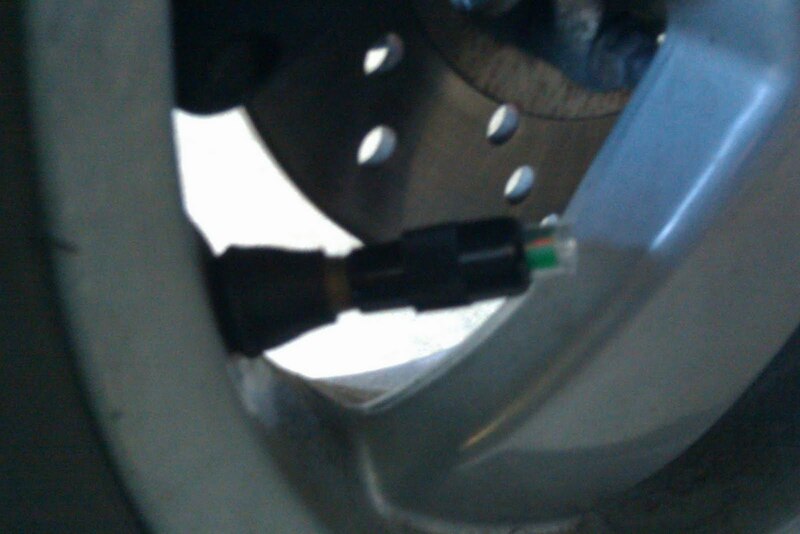 All I did was inflate my tires to the recommended pressure for my Vespa GTL, and then replaced my black valve stem caps with clear TireCheck caps with a green indicator. If the pressure drops 2-3 PSI the indicator will display red—informing me that it is time to add a little air. Conceptually speaking, TireCheck Tire Pressure Valve Stem Caps are the easiest way to make sure your tires are always properly inflated. I am not entirely sold on the product yet, but even if they turn out to be only slightly inaccurate gauges of tire pressure they will still work as a quick check. Of course, you should always check your tires for proper inflation on a regular basis. I’ll have more information on this product after I have used it for a while.